I work with organisations on all things digital and comms related. I can help with digital strategy and planning, systems and platform development (websites, CRM and databases, ticketing systems, social media, email marketing etc) and one off digital projects. I provide marketing consultation and support for organisations including strategy, campaign planning and delivery and help with team management, development and recruitment for marketing and digital roles. I’ve worked in and with culture and heritage organisations for over 15 years. 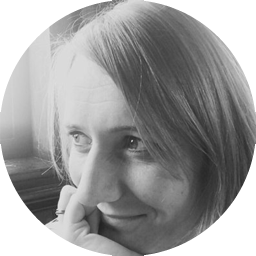 I was Head of Digital at Cog Design for three years during which I managed projects for clients including Camden Arts Centre, Contact, English National Ballet, Graeae, Jerwood Charitable Foundation and Lyric Hammersmith. Before that I was Head of Marketing & Development at Artsadmin. I led on marketing and digital strategy for Unlimited, the £2 million programme for disabled artists, and managed Forced Entertainment’s marketing and PR for three years. I've spoken at events including the Arts Marketing Association and Spektrix conferences and written for publications including the Journal of Arts Marketing (JAM). Please do get in touch with any proposals, questions, ideas, invitations to pitch and general chit chat. Sign up here if you'd like occasional emails about what I've been doing and interesting things I've found.